Grail has agreed to merge with Cirina, creating a combined developer of liquid biopsy tests focused on early detection of cancer. The merger—whose value was not disclosed—will enable Grail to develop and commercialize products in Asia as well as the West. Cirina will become an operating subsidiary of Grail yet maintain and potentially expand upon its ongoing research collaborations with CUHK. Cirina was established in 2014 to commercialize the research of Dennis Lo, DM, DPhil., the first scientist to discover the presence of fetal DNA in a pregnant mother’s blood-plasma. The company raised $12 million in Series A financing that year. Dr. Lo co-founded Cirina with colleagues at the Chinese University of Hong Kong (CUHK), Rossa Chiu, MBBS, Ph.D., and Allen Chan, MBBS, Ph.D.; as well as lead investor Decheng Capital. According to Cirina, Drs. Lo, Chiu, and Chan have carried out key research that showed cancer patients may be distinguished from healthy individuals through analyses of the plasma nucleic acid components of the bloodstream. Dr. Lo will be named a scientific co-founder of the combined company and will join Grail’s scientific advisory board. Cirina CEO Maneesh Jain will join Grail, while Min Cui, founding partner and managing director of Decheng Capital, will join the merged company’s Board of Directors as an observer. Privately-held Cirina is headquartered in Hong King, with R&D teams based there and in South San Francisco, CA. Grail was launched last year when Illumina joined investors that include Bill Gates and Jeff Bezos in committing more than $100 million toward the company. 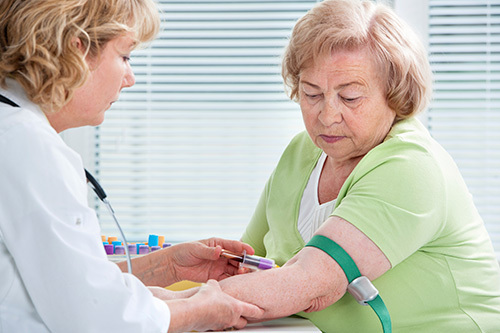 Its stated goal has been to screen for the most frequent types of early-stage cancers through a simple test that measures circulating tumor DNA (ctDNA) in the blood. On March 1, Grail said it raised more than $900 million in the first close of a planned $1 billion in Series B financing. The first close was led by ARCH Venture Partners and included Johnson & Johnson Innovation as the largest investor. Grail has said it will use proceeds of the financing to continue development and validation of blood tests for early-stage cancer detection, including its Circulating Cell-Free Genome Atlas (CCGA) study, and other large-scale clinical trials being conducted with collaboration partners. CCGA, set to run at least five years, is designed to characterize the landscape of cell-free DNA profiles in at least 7,000 individuals with cancer, and 3,000 individuals without cancer, using Grail’s sequencing approach, which applies Illumina sequencing technology. Another planned clinical trial, STRIVE, will enroll up to 120,000 women at the time of their screening mammogram, in a study designed to develop and validate a test to detect breast cancer. Some of the proceeds were used to repurchase a portion of Illumina’s stake in Grail, leaving the sequencing giant with “slightly” less than a 20% stake in the company.